When it comes to grilling steak (and other stuff), we’ve all got our secrets. 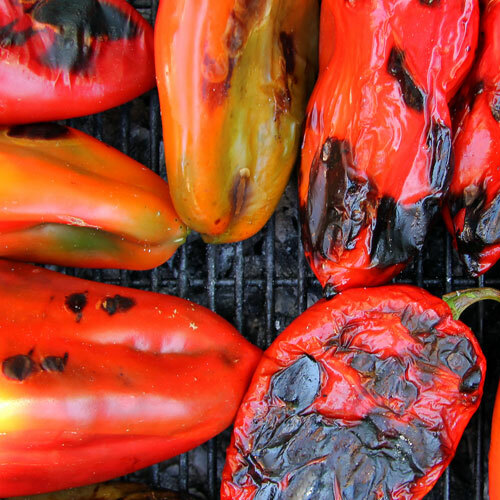 Our favorite recipe or grilling method. Our can’t-go-wrong item for any barbecue. But, every once in a while, it’s nice to try something a little different. Nothing crazy, but something fun to spice up the barbecue. Grilling steak — delicious juicy steak — requires 3 things: a good steak, a good marinade, and a clean grill. 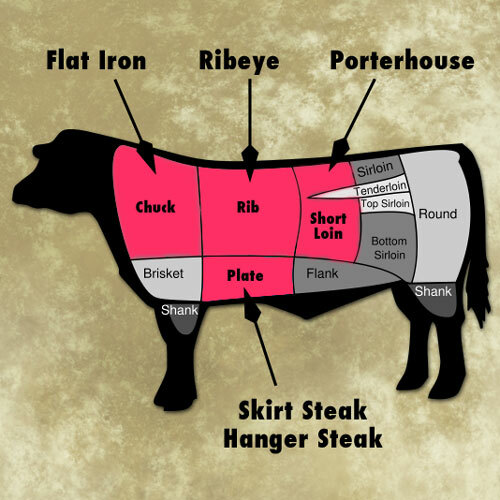 There are all the usual suspects for grilling: Rib eye steak (cut from the “Rib” section in this cuts of beef diagram) and Porterhouse steak (cut from the “Short Loin” section in the diagram). These cuts are tasty due to the higher fat content, but they’re also among the most expensive cuts of meat. Have you ever tried a Hanger Steak? Cut from the “Plate” section in the diagram, the meat is tender and beefy in flavor. It literally hangs from the center belly of the cow just past the last rib and loin. If you can’t find a Hanger Steak, try a Flat Iron Steak or a Skirt Steak (like the Hanger Steak, this is also cut from the “Plate” section). They all make delicious grilling steak, but do best when left to marinate for a day. Let’s talk about grilling with marinades. 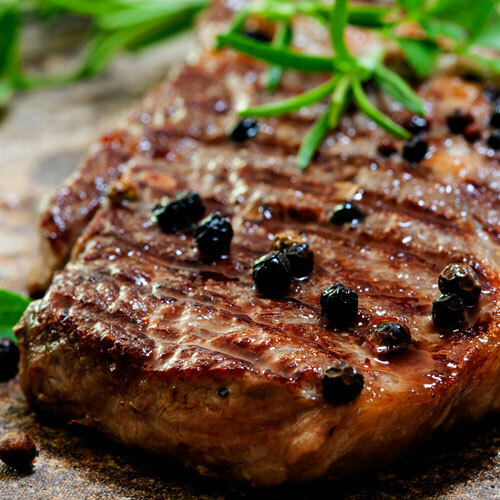 When grilling steak in the summer, an herb-based steak marinade is a great option. It’s light yet flavorful. Start with lots of chopped fresh herbs. Choose the ones you like best, but thyme, rosemary and marjoram are great choices. So are crushed garlic cloves. Put all the ingredients in a blender and add a decent olive oil until you get the consistency of a smoothie. The key is to use just enough olive oil to make a very loose paste. But not too much so that the meat ends up “swimming” in the mixture. Then, rub the steak with the marinade. You can store it in a plastic bag or a bowl in the refrigerator for the day. Of course, it’s a steak marinade that’ll make any cut taste great. You can also use it for grilled chicken, lamb or even vegetables! Time for grilling steak! Make sure to season the meat well with lots of salt and pepper. And grill the meat on a high heat to the temperature of your liking. As long as your grill is clean — a key point — the nice thing with this steak marinade is that you don’t have to do any other preparation. Just put the meat on the grill and let it go. Then slice the steak across the grain of the meat. 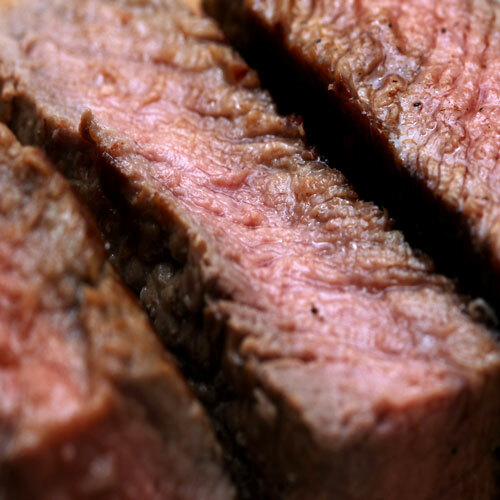 This is important whether you’re grilling Hanger Steak, Flatiron Steak, Skirt Steak, or some other cut. 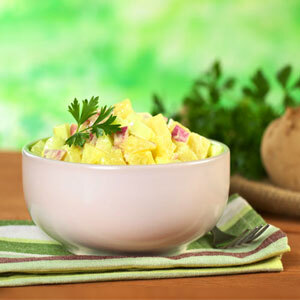 Now, there are lots of barbecue side dishes you can use to complement your juicy grilled steak. 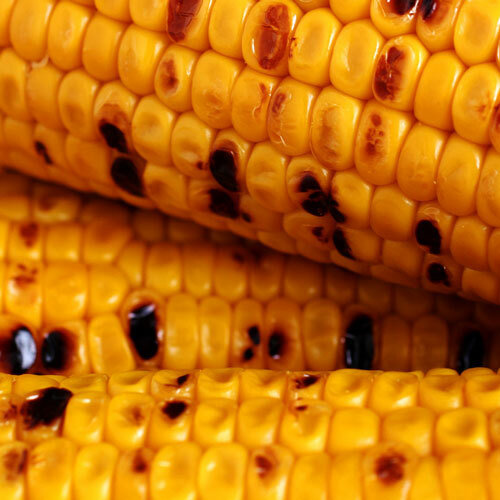 Let’s take a look at some barbecue corn recipes. Grilled corn on the cob is an obvious and easy choice – and really delicious most of the summer. You can also make a nice tomato, cucumber and red onion salad in 15 minutes. It’s a very simple dish: cut up the ingredients – using a 3:2:1 ratio of tomato, cukes and onions – add extra virgin olive oil and red wine vinegar. 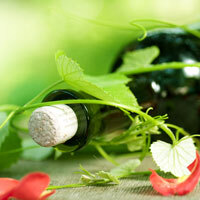 Get a good olive oil and real red wine vinegar! It’s pretty important since there are so few other ingredients. The taste of the oil and vinegar makes a big difference. 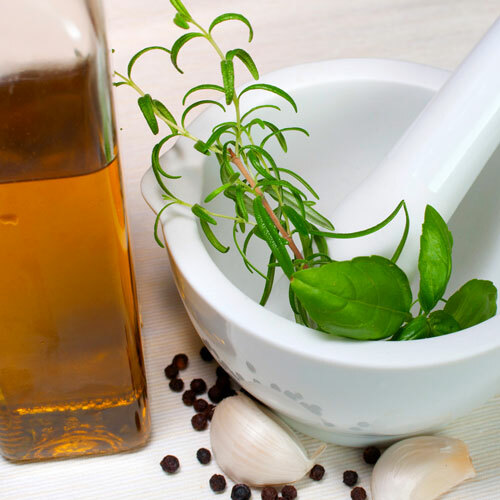 Use a 3:1 ratio of oil to vinegar and season with salt and pepper to your liking. The nice thing about this dish is that is really tastes fresh – like summer – and is the perfect balance against the richness of a good grilled steak. That’s it – grilling steak should be easy and delicious! Now it’s time to enjoy your backyard, patio, deck, or porch with your friends and the great outdoors (and maybe some rosé wine)! Dan Sachs is the General Manager of BIN 36 Chicago, a contemporary American wine bar, bistro, and market open daily in the heart of Chicago. BIN 36 is open for breakfast, lunch, and dinner and features an extensive menu, including more than 350 wines, American artisan cheeses and much more. Looking for Flavor? Try Fire Pit Cooking!